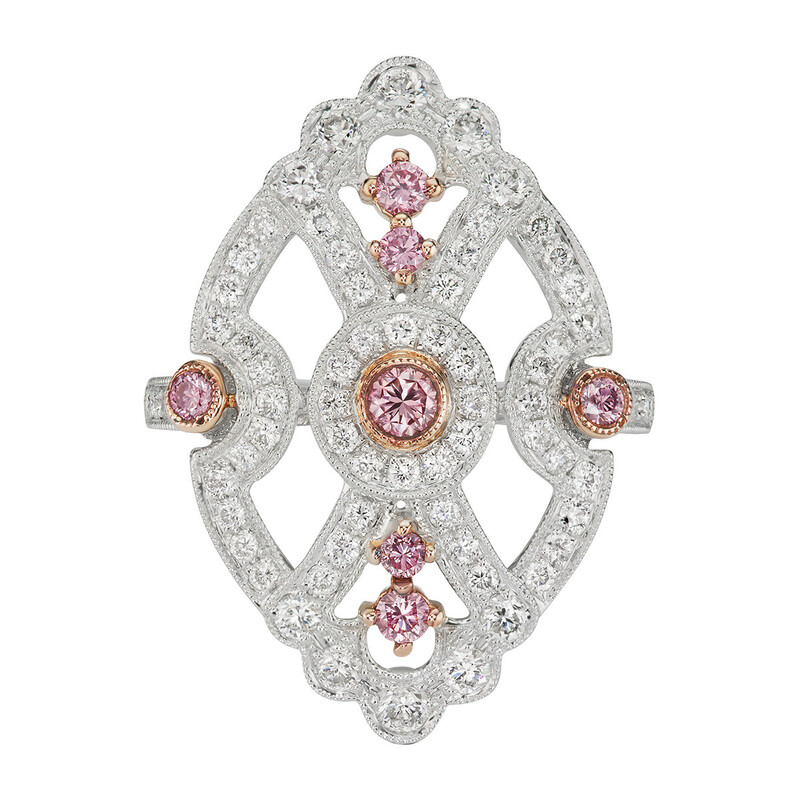 Classic double halo cluster pendant, centering a round-cut natural fancy intense pink diamond weighing 0.23 carats, framed by natural pink diamond accents weighing 0.13 total carats with an outer halo of natural light blue diamonds weighing 0.31 total carats, mounted in platinum and 18k gold. 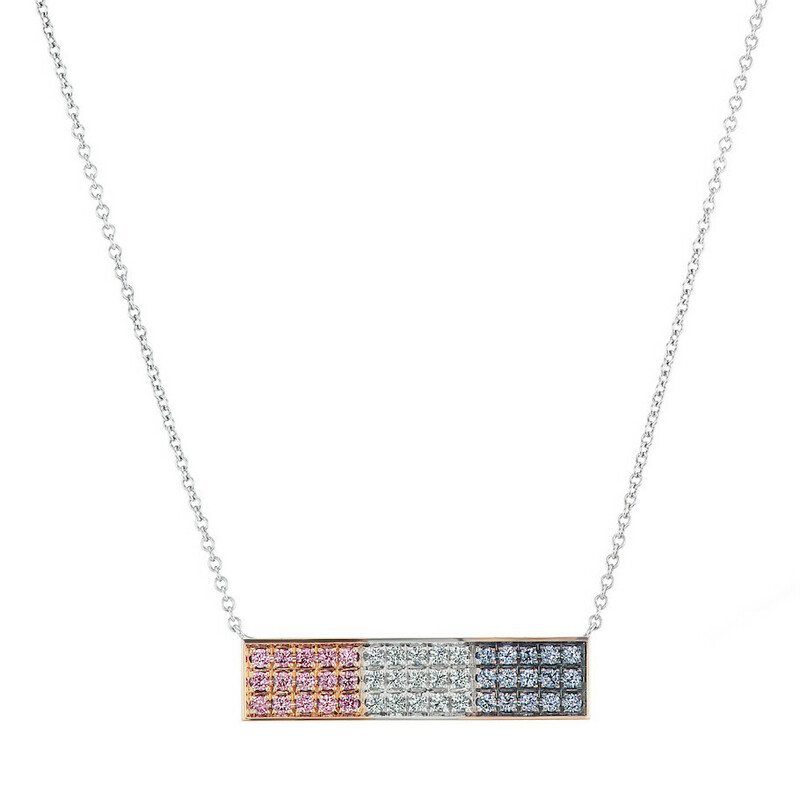 The pendant suspended from a matching 18" chain necklace. 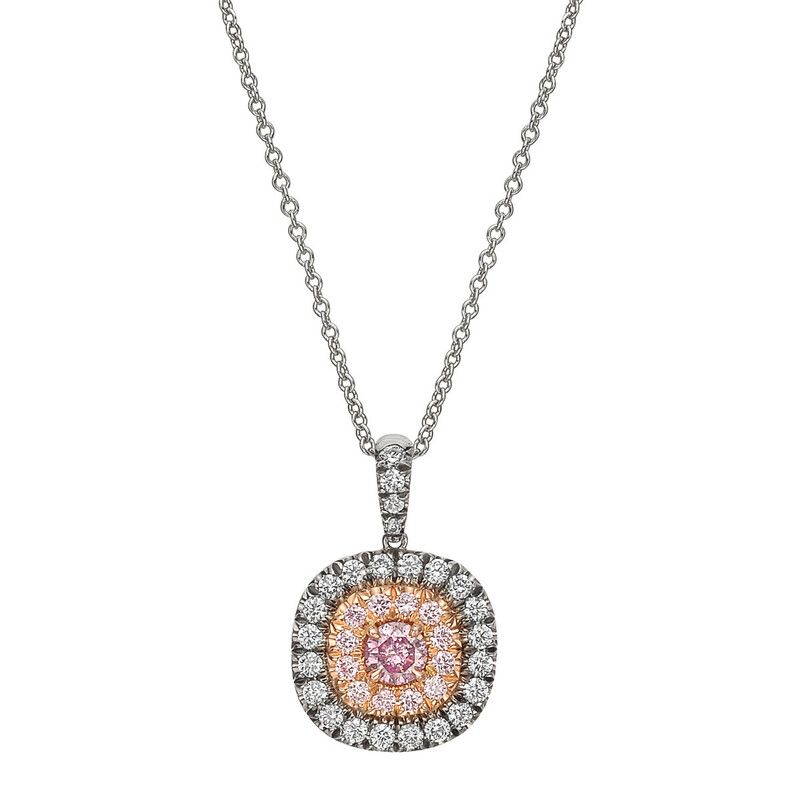 Designed by Argyle Pink Diamonds. 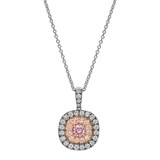 Pendant dimensions: 0.7" length (including bale) and 0.5" width at widest point.